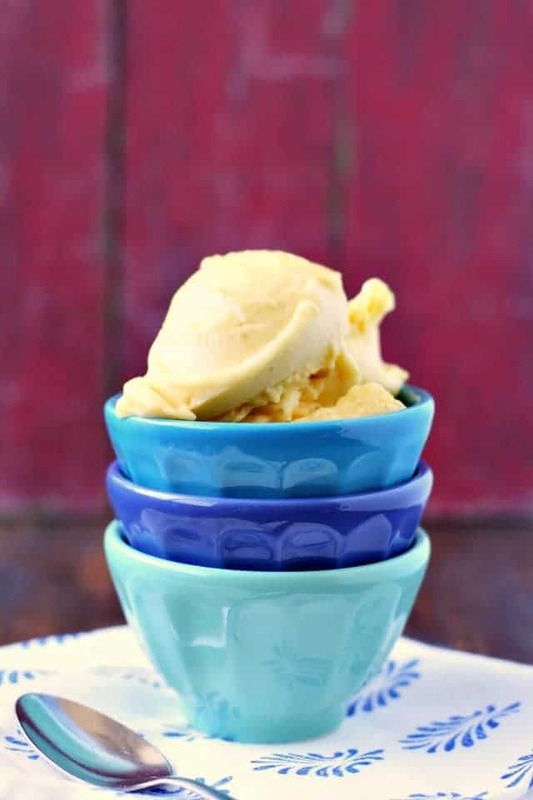 Home » Desserts » Two-Ingredient Mango Nice Cream. 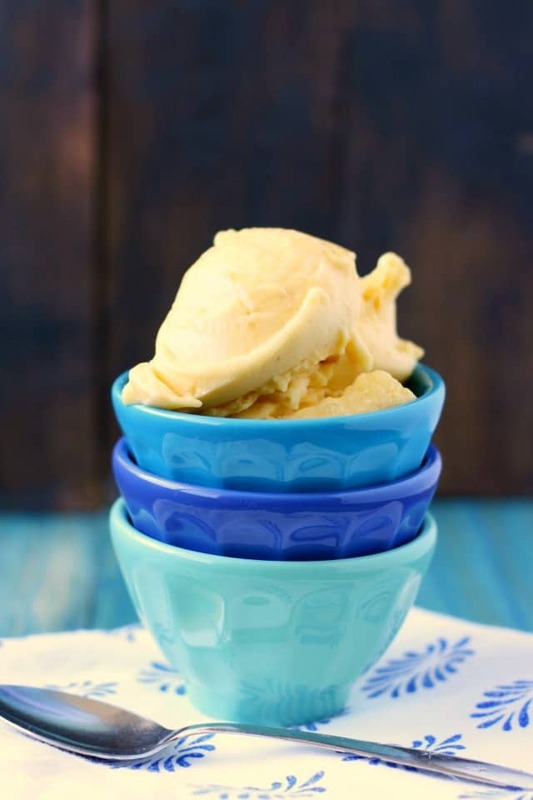 Cool and creamy, this mango nice cream is the perfect treat on a hot summer day! 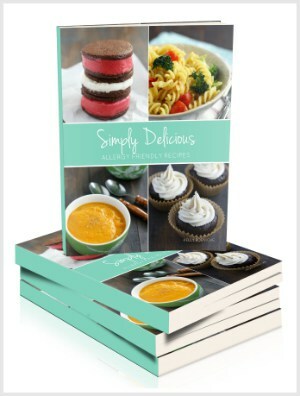 Dairy free, vegan, and so good for you! It’s so fun to make ice cream in the summer, isn’t it? 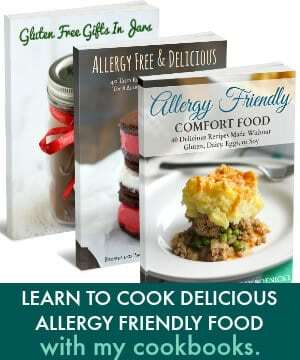 We love to make our own dairy free ice cream – cookies and cream ice cream is the favorite choice over here. But if you don’t have an ice cream maker, you might wonder how to make your own ice cream at home. That’s where nice cream comes in. This mango nice cream is light and healthy, and very creamy. You won’t believe that it’s made from 100% fruit! Nice cream is frozen bananas that have been blended in a food processor or blender until they reach the consistency of soft serve ice cream. 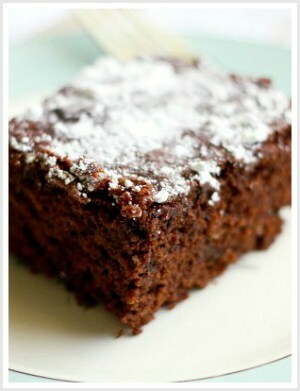 It can be made from only bananas, or you can add other fruits, cocoa powder, chocolate chips, etc. The possibilities are endless. Is nice cream good for you? It’s definitely a healthier choice than traditional ice creams! Nice cream is low in fat, and high in nutrients. Bananas are a good source of potassium, magnesium, vitamin C, and fiber. Since this is a recipe for mango nice cream, it’s also high in vitamin A as well. 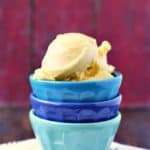 How do you make mango nice cream? 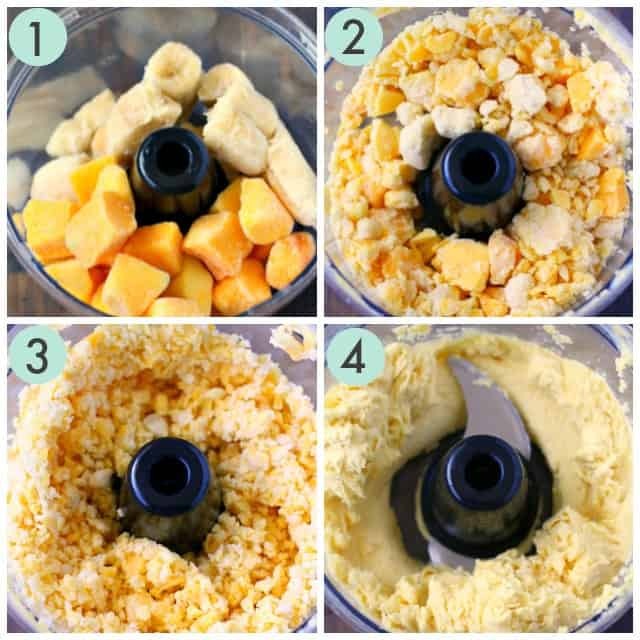 Place the frozen bananas and mango chunks in a food processor. Process on high until the frozen fruit starts to break up. Continue to blend the fruit on high speed – the pieces will start to get smaller and smaller. As you continue to blend the nice cream, it will become very smooth and creamy. Can you make nice cream in a blender? If you have a high-powered blender, like a Vitamix, then the answer is yes. If your blender isn’t that powerful, you may prefer to make this ice cream in your food processor. I find that the food processor works really well to produce a very smooth and creamy nice cream. If you make this recipe, or any of my recipes, please share on Instagram and tag me @prettybeeblog. I love to see what you’re cooking! 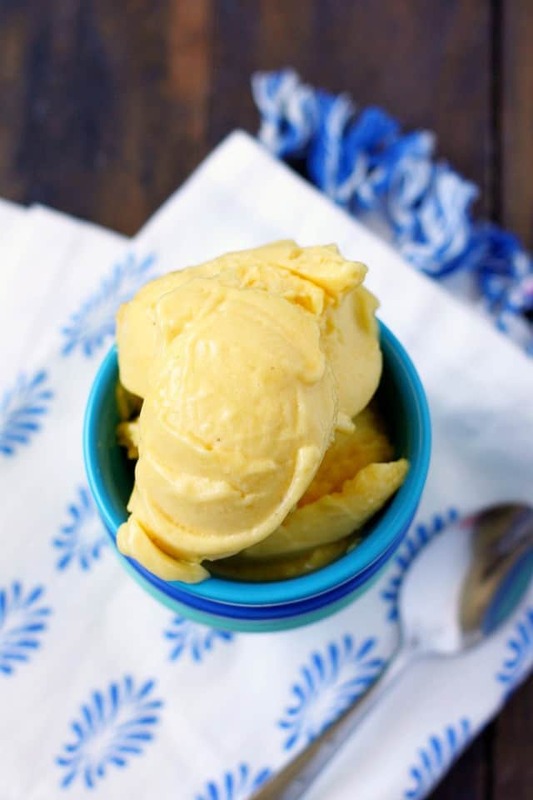 This two-ingredient mango nice cream is so delicious on a hot day! This recipe is super easy to make, and so good for you. Place the frozen banana coins and frozen mangoes into a food processor or Vitamix. Let them sit for about 5 minutes, just so they soften slightly. Process on high speed, stopping occasionally to give the food processor a break. First the fruit will become chunks, then smaller chunks, and finally it will become very smooth and creamy. It doesn't really work to store the finished nice cream in the freezer, it will freeze and become super hard. This is best enjoyed immediately. « The Easiest Refrigerator Dill Pickles.